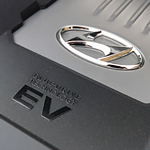 Hyundai offers drivers an excellent option in the popular hybrid car class. The Ioniq excels in fuel efficiency, comfort, safety and performance, offering drivers a total package in their car driving experience. With 58 mpg combined highway and around the town driving, and a range of over 500 miles between trips to the gas pump, the new Hyundai Ioniq is an efficient and convenient choice for drivers. A further plus for drivers is that these efficiency measures don't require any change in their driving habits to achieve. There's no charging a battery or driving strategically to get the most out of the car, as the Ioniq incorporates these measures into its ordinary operating functions. Drivers can trust their battery for the length of its lifetime, thanks to a warranty offered by Hyundai that is unmatched among car manufacturers. For the entire lifetime of the battery, it is under warranty for any issue it may encounter, giving you confidence in the quality of your car.